It’s been nearly two years since Mikaila, our adventurous teenager, moved out of our house in Howell, NJ, to study at a little liberal arts college that lies between the snow-capped Sierra Nevada Mountains and the cobalt-blue waters of Lake Tahoe. Howell is a pleasant Leave It to Beaver suburb, but the college is located in paradise. Although our girl has come home a few times to visit, she’s made it clear that she’s fallen in love with the California-Nevada border country and is never going to move back in with us. I admire her independence and can’t argue with where she has chosen to live, but part of me has been hoping that she’d change her mind. I long to play catch with her in the yard again, watch her cavort with our two big dogs, and listen to her singing off-key to the music playing in her headphones. I miss her like crazy. 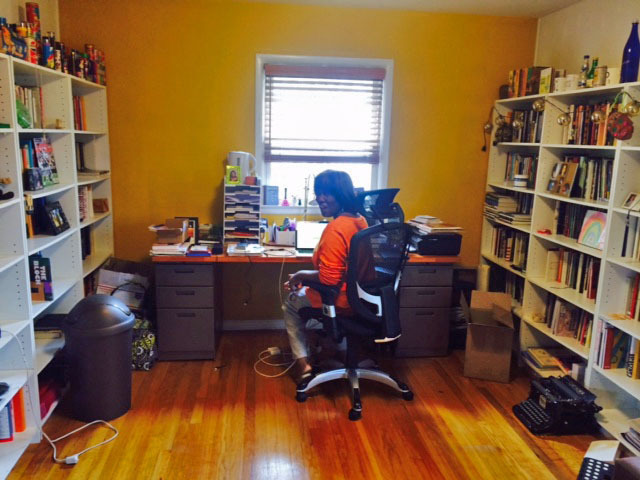 But a few months ago, I finally faced reality, packed up the little-girl things she’d left behind, stored them away in the basement, and transformed her old room into a book-shelf-lined office for the other writer in our family – my brilliant wife Patricia Smith. For years, our dining room had served as Patricia’s office, but often she’d wander upstairs and plant herself next to me at the huge desk in my upstairs office so we could write side by side. Mostly we worked in silence, but every now and then she’d read something to me, or I’d read something to her, and ask: “What do you think of that?” I worried that once she settled into her the comfort of her new digs, that would change. I’m grateful it hasn’t. I’m a former investigative reporter, newspaper writing coach, and news service editor turned crime novelist. Patricia is one of those rare writers who is comfortable in any genre. She’s written articles for major magazines, essays for literary journals, the companion book to the PBS series, Africans in America, and even an award-winning children’s book. But she’s best known as a poet—one of the finest working in the English language. Our rare writing partnership makes my work, and hers, better. What makes our working relationship rare is how well it works for both of us. Friends who are also married to other writers tell us they can’t work together. When they try, it usually ends in a fight. Patricia and I understand exactly what they mean. I used to be married to a writer for People Magazine, and whenever we shared our work with one another, it ended in disaster—every well-meaning suggestion taken as unwelcome criticism. Patricia was once married to another poet, and whenever they talked with each other about their work, it ended in a fight. Ever since Patricia and I set up housekeeping together seventeen years ago, I’ve edited every line of her poetry, and she’s edited every line of my crime novels. And we never fight. Part of what makes the partnership work is that we understand and respect each other’s passions. And, paradoxically, the other thing that makes it work is that our writing styles couldn’t be less alike. Patricia’s writing is rich and sensual. She loves words and tends to use lots of them. My writing is tight and spare, sometimes to the point of sensory deprivation. I help her make her poems tighter and crisper. She helps me make my crime fiction more descriptive and lyrical. When we first began to work together, Patricia tended to back into her poems—something I called “throat-clearing.” Back then, I often crossed out the first stanza or two to show her where the real poem began. She always understood, and my suggestions have changed the way she writes. It’s been years now since I’ve had to X out a stanza. Today, my editing consists of little more than circling an occasional word or phrase. Each circle, she knows, means, “I don’t know what you should say here, but I think you can do better than this.” I never presume to rewrite her, and I rarely suggest a word, leaving it to her to find the right ones. Patricia edits me very differently. When she sees a passage that she thinks is too spare, she sits at her computer and writes, often transforming a paragraph or two into three or four pages of lyrical, descriptive prose. When she hands it to me, I always think it goes on way too long. And, of course, her narrative voice sounds nothing at all like mine. So I boil down what she’s written into two or three paragraphs that inevitably make my work much, much better. But perhaps the most important thing she does is help me write credible love scenes (both on and off the page.) Liam Mulligan, the investigative-reporter protagonist in my series of hard-boiled crime novels, didn’t have much luck with women in the first two books. But in the third, Providence Rag, he fell hard for a brilliant, beautiful attorney. When it came to writing the scenes between them, I was lost. What would she be wearing? How would he respond to it? What would he say to her? How would she answer? What would she feel when he reached out and touched her arm? What would she do? Patricia is highly competitive, however. Our marathon Scrabble games, which she wins more than two-thirds of the time, are always intense. So she sees our writing careers as a competition between us. Since then, the “competition” has had a clear winner. I speak at Mystery Writers of America? 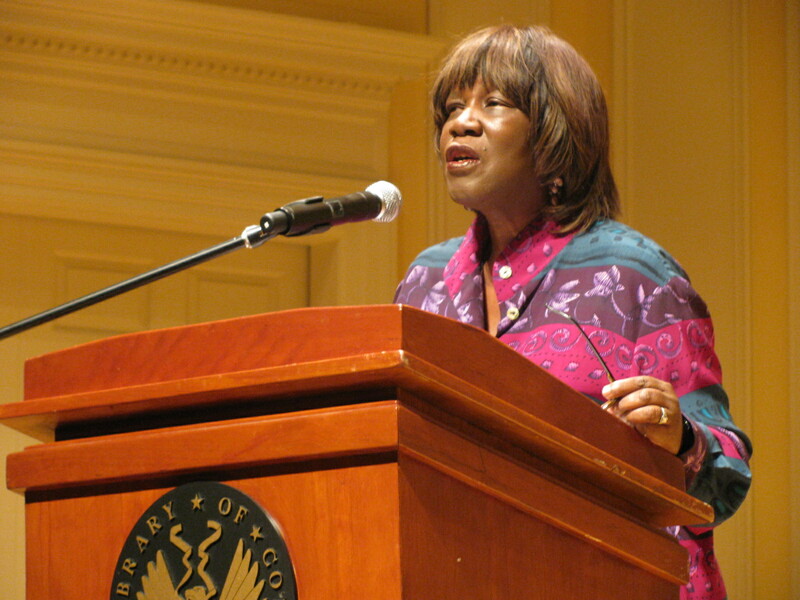 She reads her work at Carnegie Hall and the Library of Congress. I’m named a finalist for the Macavity, Barry, and Anthony awards? 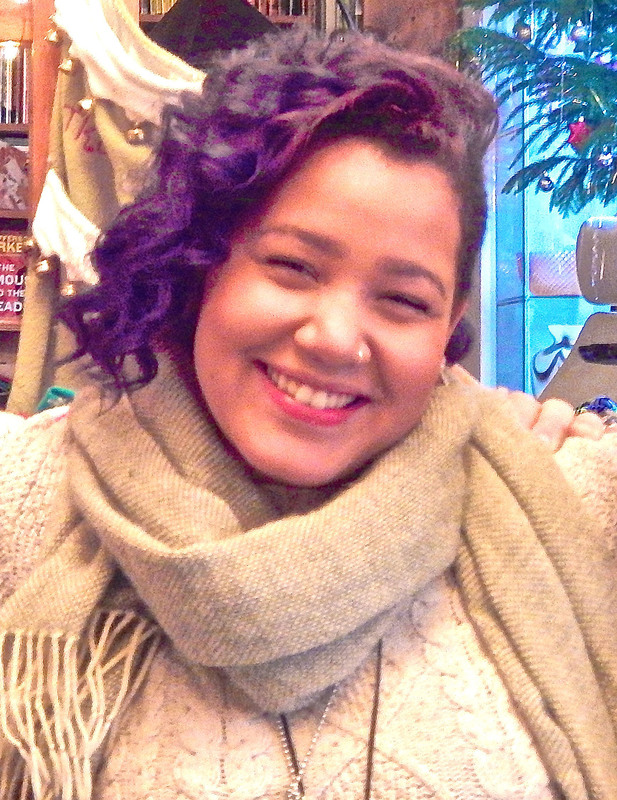 She wins two Pushcart Prizes, the Lenore Marshall Prize, the Phillis Wheatley award, the National Poetry Series award, the Bobbitt Prize, and a Guggenheim Fellowship. She even intruded on my turf, penning a noir crime story—the first short story she ever wrote—and winning the Robert L. Fish Award for it. 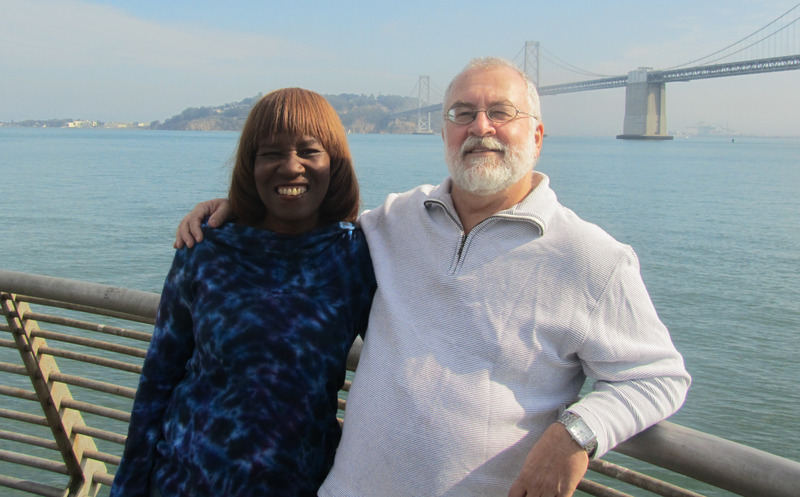 Now, as my forth Mulligan novel, A Scourge of Vipers, arrives in the bookstores and I struggle to meet the deadline for the fifth, Patricia is completing two volumes of poetry, writing more poems to accompany a book of photographs about the Chicago blues scene, and working on a non-fiction book. But when all that is done, we plan to take our writing partnership to the next level. We’re going to write a crime novel together. It will be set in her native Chicago in 1968, when the Westside neighborhood where she lived as a child was destroyed in the riots that followed the Martin Luther King assassination. “It’s a daily humiliation,” I joked. But the truth is, I know how fortunate I am to be married to this amazing woman and have her as my writing partner. Now if only Mikaila would come home for another visit . . . Check out other cool articles about books at the Buried Under Books website. This entry was posted in Uncategorized and tagged A Scourge of Vipers, Blood Dazzler, Bruce DeSilva, Carnegie Hall, crime novelist, edgar award, Guggenheum, Liam Mulligan, Library of Congress, National Book Award, Patricia Smith, poetry, Providence Rag, Pushcart Prize. Bookmark the permalink.